So far there have been only a few ways to get hold of an Iris Pro 5200 enabled machine. The first CPUs with these processors were in laptops, until Apple put some in the 21.5” iMacs and GIGABYTE pushed for its BRIX Pro that achieved Steam Box status. 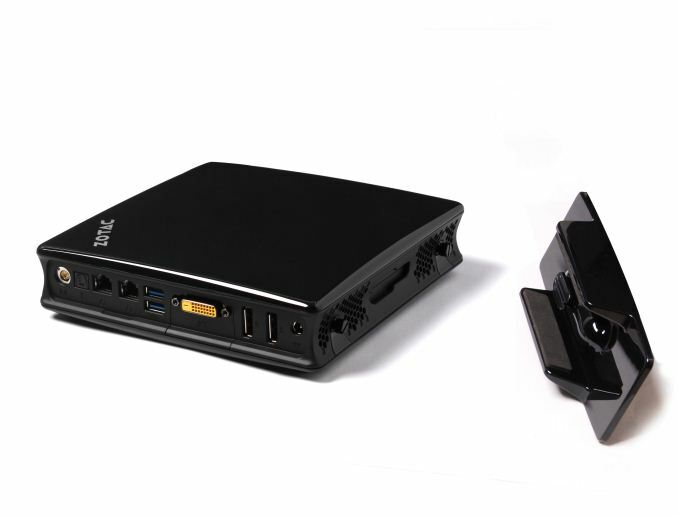 Fast forward a few months from those announcements and now ZOTAC is getting in the mix by releasing a pair of ZBOX E-Series mini-PCs. The two models will be the EI750 and EI730, differentiated by their processor. The EI750 comes with the i7-4770R, the top performing Iris Pro HD 5200 CPU, whereas the EI730 is with the i5-4570R, with lower clock speeds, no hyperthreading and a smaller L3 cache. 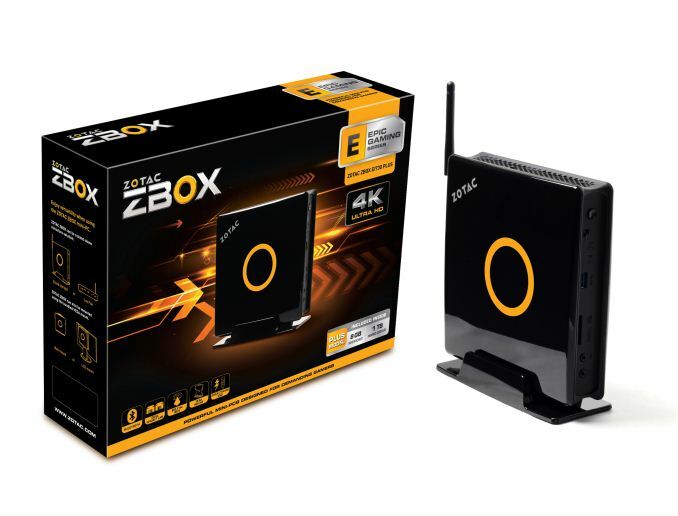 The ZBOX E-Series are essentially in direct competition with the BRIX Pro in this market, and ZOTAC's aim is to win on z-height. These machines in the images look longer in the x/y dimensions but shorter in the z-dimension, while still retaining VESA 75/100 mounting. Official dimensions put the system at 188x188x51 mm, which seems very small for a 65W CPU. Both models come with two DDR3L SO-DIMM slots for up to 16GB of DDR3-1600 (1600 supported, ZOTAC have told me the latest BIOS enables up to DDR3-2133), space for a 2.5” SSD, dual DisplayPort and a DVI port, dual gigabit Ethernet ports, onboard Intel 7260 2T2R 802.11ac WiFi and four USB 3.0 ports. 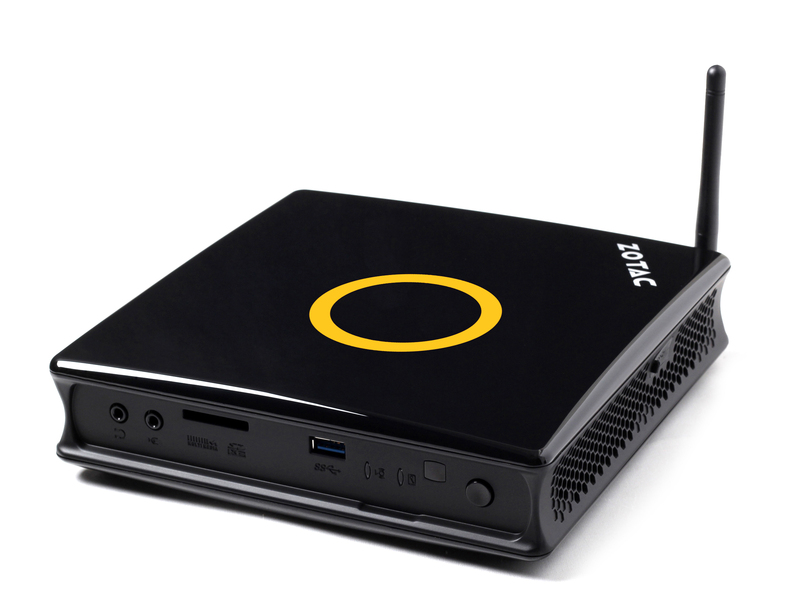 ZOTAC will also sell Plus models with 8 GB DDR3-1600 CAS 11 and a 1TB 5400 HDD included. 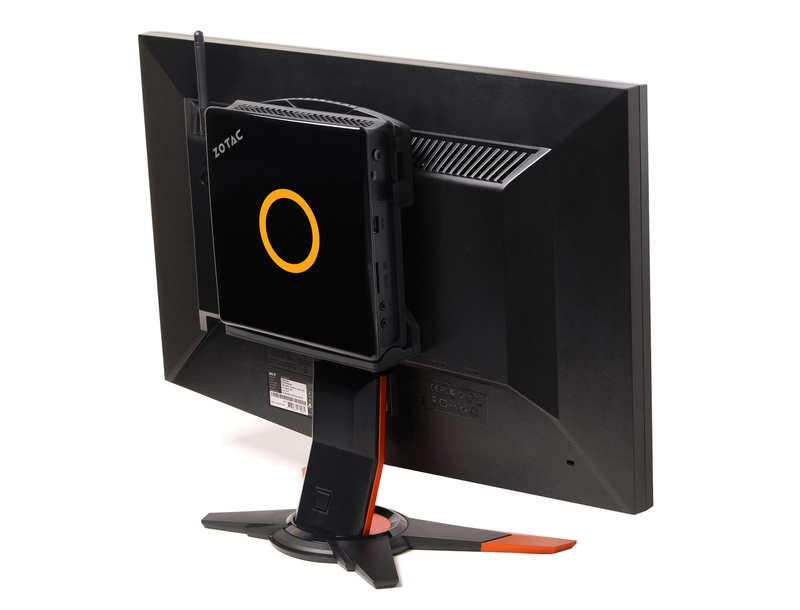 ZOTAC is aiming for a March launch, with the EI750 base model retailing at £520, or £650 for the Plus edition. The EI730 base has an MSRP of £430, and the Plus edition will be £560. US pricing should be coming to me soon.